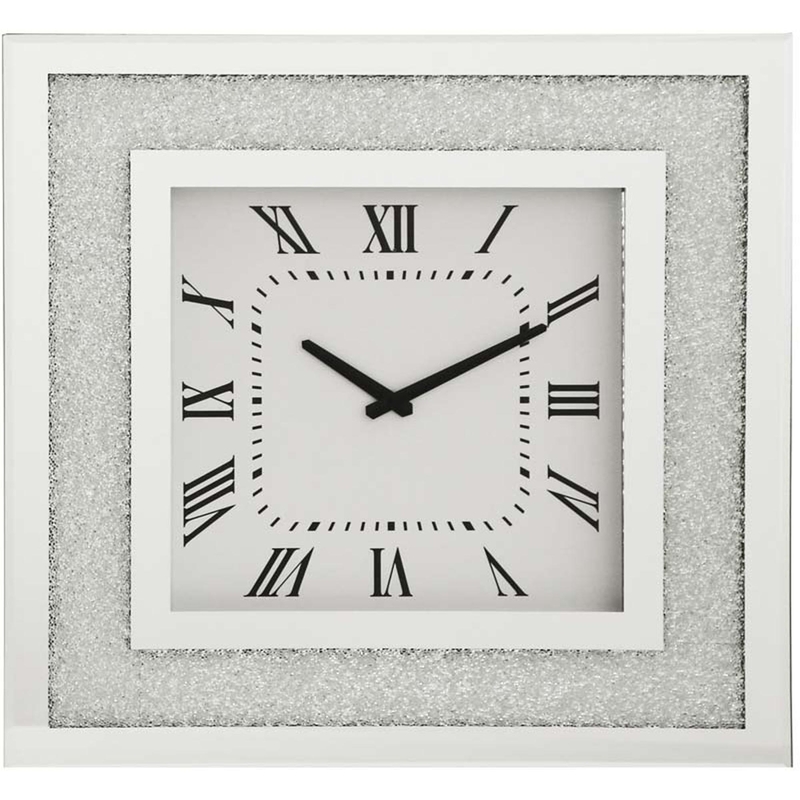 Add our Mirrored Square Clock to your collection. With its crushed diamond glass frame and mirrored glass border this is a beautiful luxury clock that would complete any home. This piece reads in roman numerals and has a very simplistic yet elegant clock face. The black numerals and white background complement each other, making this piece all round stylish and sophisticated.